Oh Toronto, how I loved thee. Well, it did help that I was there for a food show (a vegetarian food show!). I know I have told you that I fail at baking 25-50% of the time, but you probably don't believe me, but it's true, we are all human. 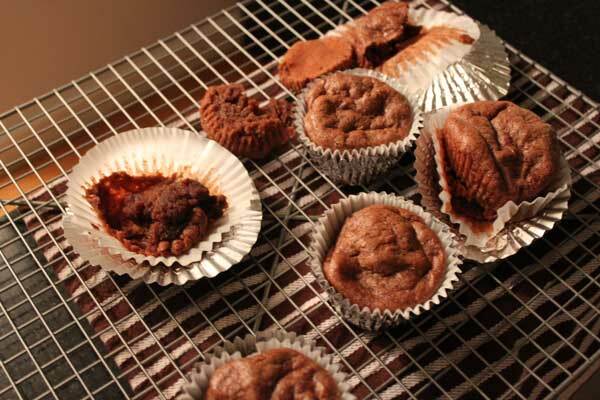 For example, I attempted to make a friend Gluten Free cupcakes, and boy was that a failure. The batter smelt like acrylic paint, they were the consistency of Nickelodeon green slime, didn't rise properly, and wound up tasting like NOTHING. NOTHING I tell you! No taste at all, but the weirdest consistency. Gross, with a CAPITAL G!. So when I went to try a vegan cupcake, I was skeptical, but I'll try any cupcake once. Kupcakes Bakeshop in Toronto says their goal is to "...change the age old opinion that vegan baking is bland offering up all-natural vegan treats that taste better than their non-vegan counterparts! This is achieved through using only the highest quality ingredients and baking lots of love into each bite!" and they succeeded with me! Citrus poppy-seed Cupcake - A Poppy-Seed Cupcake Containing a Blend of Fresh Citrus Zest and Juice, Topped with a Velvety Cream Cheese Frosting. Oh.Mah.Gawd. It was as good as it sounded. As I said, I was skeptical, but the cupcake was moist and served up everything it promised in its description. The contrast between the smooth frosting and poppy seeds was perfection, giving a mix of textures and flavors with every bite. I believe this was an Apple Cobbler Cupcake. Kupcakes Bakeshop has an Apple Spice and a Peach Cobbler on their flavor list, and this one felt more like the cobbler. I have to tell you, no matter what they call this, I would rate this cupcake top 5 best I've EVER had, and it was VEGAN! The icing was devine. The apples scattered about the cupcake were perfectly sweet, and cooked just right. I could have eaten a bakers dozen of these (if they weren't almost sold out of everything!). This is a recipe (maybe not vegan...) that i am going to have to try. If you are in the Toronto area, or plan on visiting, check them out, they will for sure convert you to believe that Vegan baking can be as good as other baking if done right. Have you ever baked vegan or gluten free? How did it work out?